Our innovative products combine leading research and technology into curriculum-based, fun learning games. Your child will experience and master a broad variety of skills: recognizing colors and shapes, basic counting and sorting, and peekaboo matching adventures with animals and letters! 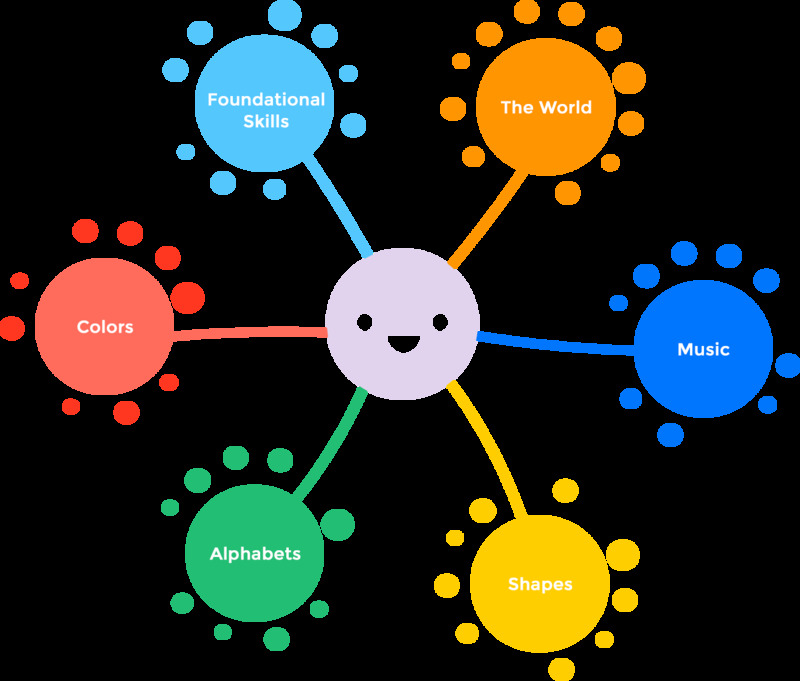 Agnitus prepares your preschool to 3rd grade child for just-right entry into structured learning environments. 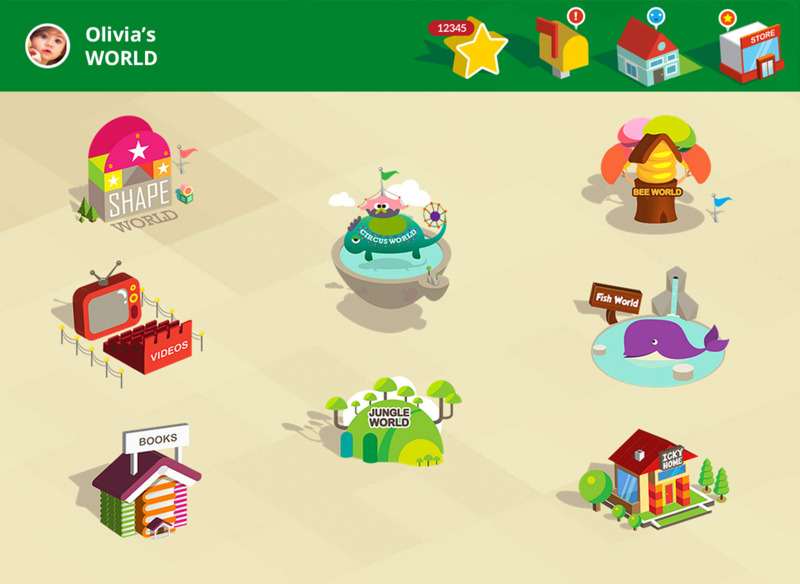 If you could choose just one educational app for your child ~ in all the whole wide world ~ what would the app accomplish? Here it is! Designed by education and technology experts, our Agnitus app uses 'smart' progression-based technology to support your child's learning activities. Agnitus ensures mastery of fundamental preschool and kindergarten skills. You can review your child's Agnitus learning progress in the Skill Report by simply pressing down for three seconds while your Agnitus app is open. 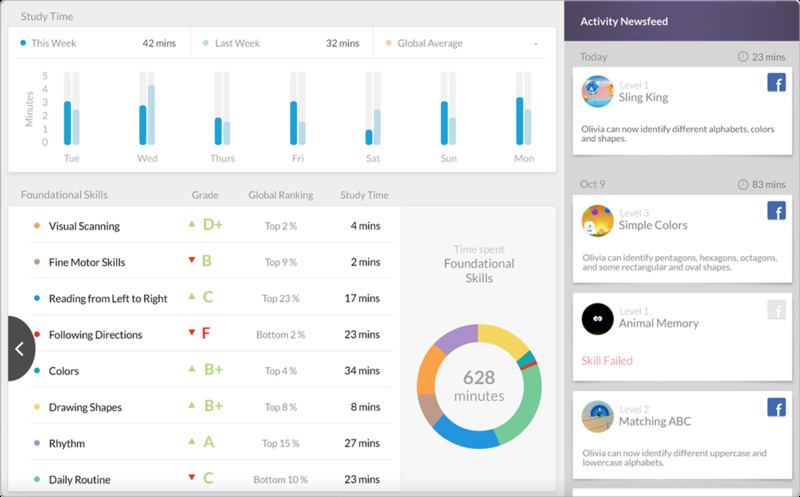 This takes you to at-a-glance updates of your child's activities based on Agnitus engineers smart tech assessments. Reading on your touch devices is just like reading a traditional book. But once you get started, you'll see that it's so much more. 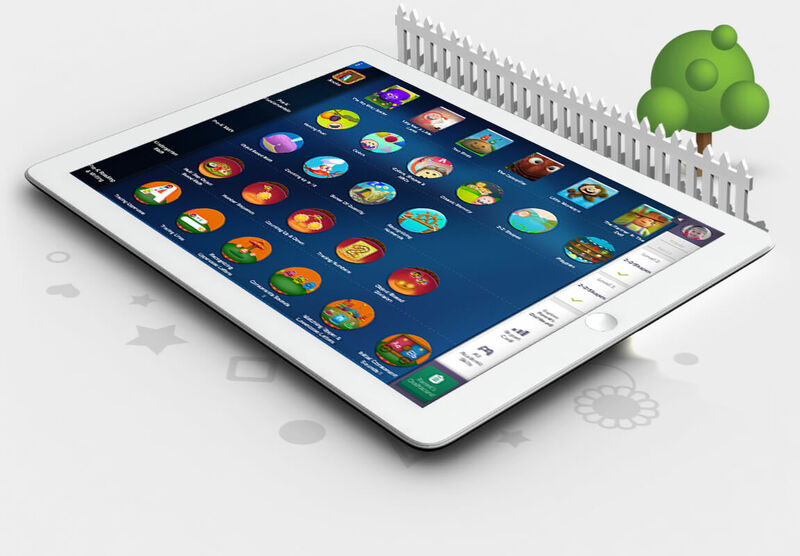 Agnitus Interactive Books brings children's stories to life by transforming classic tales into interactive, learning experiences. 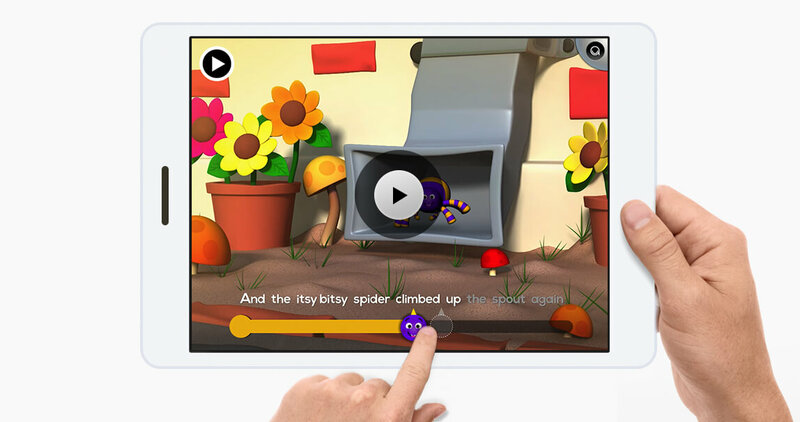 In our first release, children can sing along to beautifully animated Mother Goose classics as they build the confidence and vocabulary needed for independent reading. Learn to sequence numbers by locating them along a number line. Learn how text represents written words in games by teaching how to read from left to right. Skills Covered: Pointing to words as they are read from over 20 rhymes. Take a big step towards reading by learning to recognize the first sound in words. Skills Covered: Find the starting sound of objects' names in the alphabet. Sort groups of objects based on their starting sound.Match objects and starting sounds in a fast paced game of bumper cars. Gain an awareness of how letters combine to form words while expanding their vocabulary. Skills Covered: Solve puzzles requiring letters to be unscrambled into words. Learn to print lowercase letters while practicing with uppercase as well. Build an awareness of syllables while learning to blend them together into words. Skills Covered: Blending Syllables to make words. Playfully learn about daily hygiene. Helps your child learn to brush their teeth. Learn the names of various professions in an introduction to the idea of careers. Discover the importance of center of gravity in games by stacking shapes into towers, bridges, and on either side of teetering levers. Skills Covered: Find the starting sound of objects' names in the alphabet. Sort groups of objects based on their starting sound. Learn to recognize fruits while hearing them pronounced increasing your child's ability to successfully compare and memorize. Learn how to use complex muscle and nerve acts to improve motor skills. Learn how to trace uppercase letter using the proper directions and form taught in schools. Build Short-Term memory by matching pairs of animals, shapes, colors, letters and more in this childhood classic. Complete picture puzzles by fitting together, rotating and resizing shapes while learning basic geometry skills. Take a first step in math and science by learning to recognize and name simple geometric shapes. Decorate shapes while developing fine motor coordination and an artistic sense of color composition. Real world math including: subtraction as take-away, real world counting, addition and subtraction, multi-step problem solving and zero as a number. Develop an understanding of how quantities of up to 10 objects can be described by numbers. Learn to recognize letters based on either their upper and lowercase forms. Skills Covered: Match lowercase to uppercase letter forms in the classic memory game. Reunite upper and lowercase letters in a game of ABC Hide & Seek. Matching letters to the sound they make in a game that also develops hand-eye coordination. Learn to recognize numbers by both shape and name in these matching games. Practice counting up to 10 while learning the order and visual appearance of each number. Practice counting up from one number on the number line to another. Practice counting down from one number on the number line to another. Learn to divide through distributing objects and fair sharing. Learn to recognize all the uppercase letters of the alphabet from A to Z. Skills Covered: Finding uppercase letters in the alphabet based on the sound they make. Learn to recognize all the lowercase letters of the alphabet from a to z. Trace numbers from 0-20 and basic math symbols. Learn the sounds that each of the consonants make. Skills Covered: Finding letters in the alphabet based on the sound they make. Matching letters to the sound they make in a game that also develops hand-eye coordination. Learn about addition by combining objects into groups. Learn about subtraction by removing objects from groups. Build foundational multiplication skills by combining equal sized groups of objects. Builds spatial reasoning through puzzles featuring solid shapes that must be fit together to fill up different sized spaces. Learn to name and tell the difference between a wide range of colors, starting with the basics. Continue developing a mathematical sense of size by sorting objects based on height and width. Children learn to strategically make sense of complicated images as they play visual games of Hide and Seek with animals, objects and letters. Do you want a special deal?